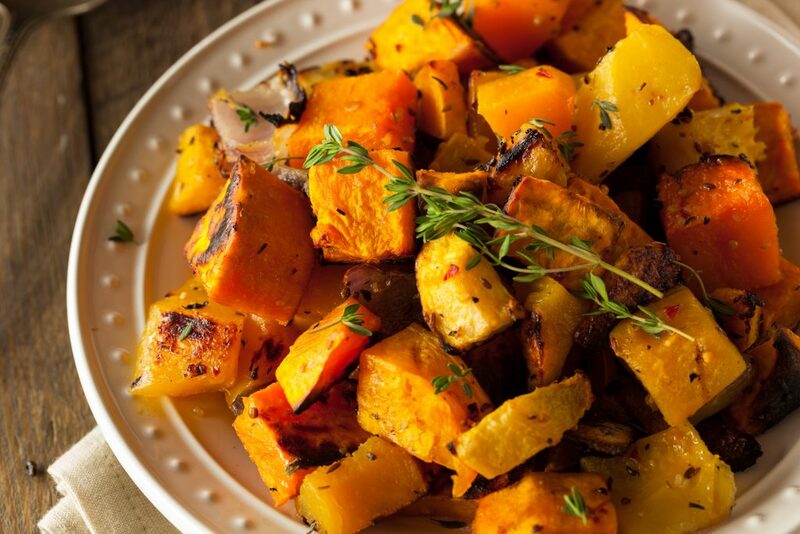 Winter squash becomes tender and sweeter when roasted – a delicious side for a holiday dinner. Look for interesting squash like kabocha or hubbard at your farmers market. Frozen Ontario garlic cloves – fresher than you think. A delicious side for a holiday dinner. Look for interesting squash like kabocha or hubbard at your farmer's market. Frozen Ontario garlic cloves - fresher than you think. Toss squash with 4 tsp oil, salt and pepper. Spread evenly on a large baking sheet. Roast, stirring occasionally, until tender throughout and lightly browned, 30-45 minutes (depending on variety of squash). Heat butter and remaining 2 tsp oil in a small skillet over low-medium heat. Add garlic and Garlicky Italian Seasoning. 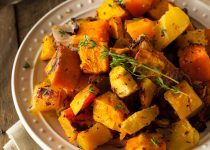 Toss cooked squash and seasoning together. Taste, adjust the seasoning and serve. MAKE AHEAD TIP: Cut squash up 1 day ahead; store airtight in the refrigerator.